In addition to what I published in my post last year about St Margaret which I linked to in the last article readers may be interested in these links and points of interest. The Life of St Margaret by her former spiritual advisor Turgot, later Prior of Durham, and dedicated to her daughter, Queen Matilda, who was the wife of King Henry I, can be read in translation here. The modern biography by G.W.S. Barrow in the Oxford DNB is available here, and there are other accounts of her life here and here. 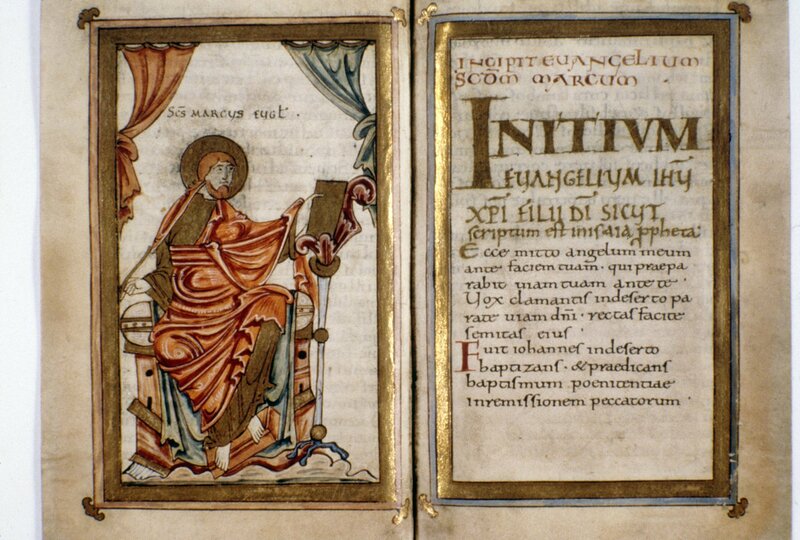 In 1887 the Bodleian Library bought a manuscript subsequently identified as being St Margaret's Gospel book, and which bears evidence of water damage from when the book, having been dropped in a river, was subsequently retrieved with the text undamaged. There is a recent study of the Gospel book by Rebecca Rushfurth Queen Margaret's Gospel Book: The favourite book of an Eleventh Century Queen of Scots published by the Bodleian.